These documentaries and documentary series’ are a mix of sustainable, local farming techniques (1, 5, and 6), and the important reasons behind a movement away from processed, industrial food towards fresh, locally produced food that is healthier and more environmentally friendly (2, 3, and 4). 1) The Victory Gardens’ Edible Feast TV series follows American gardeners and chefs to document their innovative, sustainable food practices in farming and in the kitchen. 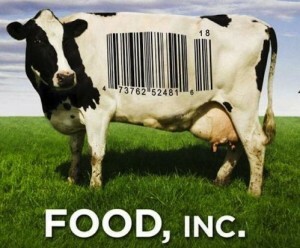 2) Food Inc. shows you what is going on behind the scenes in America’s food industry. You can see for yourself how food gets from the farm to the table. 3) Farmageddon documents the stories of farmers in America that were providing fresh, local food to their communities and ended up being shut down by various government officials. 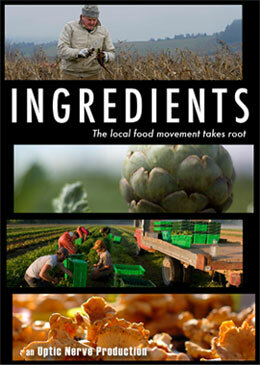 It is a film that raises valid concerns about our freedom to choose local food over big industrial agriculture. 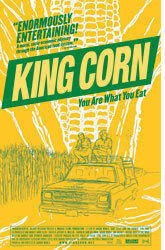 4) King Corn is a documentary that follows two friends and their adventure into growing an acre of corn in Iowa and then attempting to follow their crop harvest into the industrial food system. 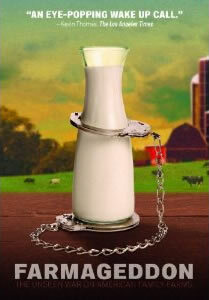 5) Food Forward is a documentary TV series by PBS that films “food rebels” across the United States. They showcase innovative local food practices including everything from rooftop gardens to healthy school lunch programs to watering techniques that save water, and much more. 6) In the film Ingredients, farmers and chefs bring back the nutrition and flavor of food with locally grown, quality ingredients and reduce the dependence of Americans on the industrial food system.